Between October 2014 and March 2015 there was no Watopia, and certainly no Richmond or London. 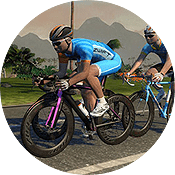 There was only Jarvis, aka “Zwift Island.” And only a handful of Zwift beta testers could be found riding it at any given time. 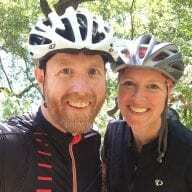 …we’ve never lost any data at Zwift. I have backups, and backups of backups. The reason Jarvis is not trivial to bring back is because it was created almost entirely by math equations – the terrain, the plant placement, and the road are all generated by algorithms. Only the buildings and arches were placed by hand. With the shift to Watopia, we went with editable roads. Now we can have roads that do anything. Intersections, right turns, s-curves, flats. It’s not just sine and cosine waves added together anymore. Additionally we developed better tools to place plants and zone types. ie, tropical zone, snow zone, forest, etc. Within a zone it still uses algorithms to place plants but the zones are hand-placed and tweaked by artists. … Jarvis was nearly pure code (because I’m a programmer, and didnt have any tools aside from my code and we couldn’t hire bunches of artists at the time). Today we have a nice suite of tools. Why was it called Jarvis? 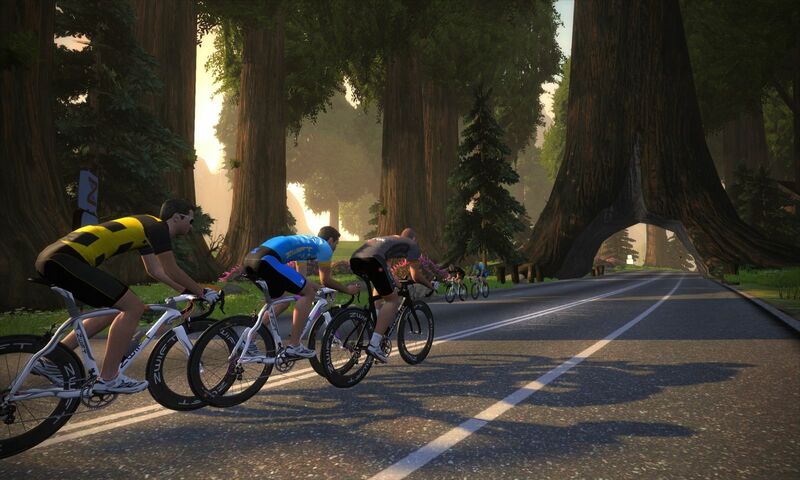 Even in these early stages Zwift was growing in popularity. In the short time that Jarvis was in use, 4,665 people rode the “Full Lap Counter Clockwise” segment for a total of 131,329 attempts! You can see from the profile below that Jarvis Island was a very simple, symmetrical course. 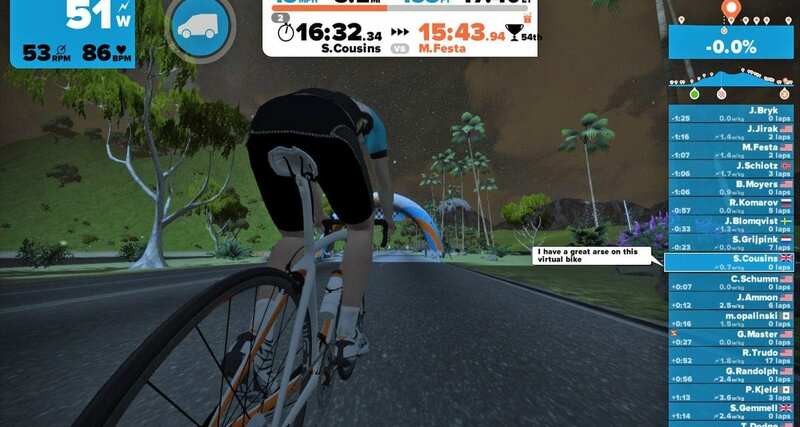 Of course, today’s Zwift courses are much more complex and developed… but those who were around in the early days will always remember Jarvis as the course that started it all. Really interesting! looks like No Man’s Sky procedure generated world style. One of the power ups looked like an air plane, any ideas what that one was? The jet powerup was changed to the aero helmet. It’s the aero boost powerup. I hope the put Jarvis up again in the near future.